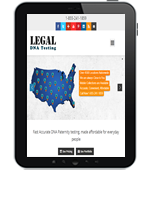 Fast Accurate DNA Paternity testing, made affordable for everyday people. We can get your testing in process for as little as $100 down. Results are available when the remaining balance is paid. No need to guess if you received the best price available. 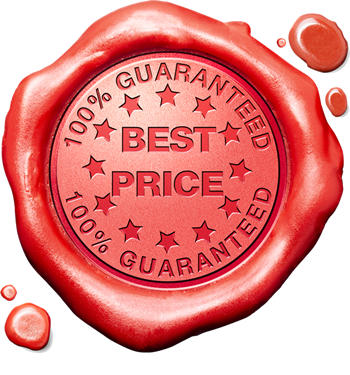 We meet and beat all prices on comparable testing services. Your results are finished in just 3-5 business days from the time we have all samples involved in your individual case. Every one of our legal tests is preformed by an accreditted AABB Lab, the highest authority for DNA testing in the US. 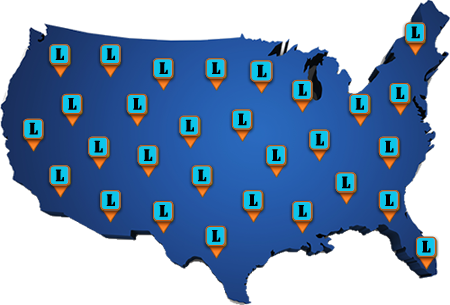 With over 2000 professional collection sites nationwide, we regularly coordinate testing across the country and the globe. All testing is AABB accredited and double tested to insure our clients recieve the correct final results every time. Uncertainty over paternity can create a huge amount of stress in any family. Legal DNA Testing can help. Established as an alternative to spiraling healthcare costs and a growing need for accurate, affordable tests, Legal DNA testing offers you a simple, fast and affordable way to determine not only paternity, but genetic ancestry, family relationships (including for immigration purposes) and prenatal genetics too. Paternity tests are used to determine the biological father of a child. 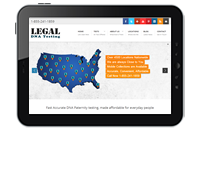 We offer a legal paternity test, and a non-legal paternity test. A non-legal test is carried out for your own peace of mind, and not for any legal purposes, such as child support, name change, custody or social security. We simply send you a DNA paternity test kit, and you conduct the test in the privacy of your own home. We are frequently asked to carry out a court ordered paternity test, but even for a legal test, you don’t have to have a court order. All you need are samples from the child and the alleged father. 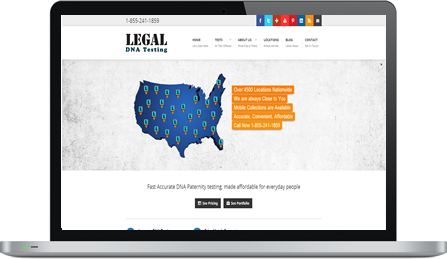 Legal DNA testing follows a strict Chain of Custody, and gives you an official document that is admissible in court. We can also carry out a paternity test during pregnancy to determine the biological father before the child is born. Court admisssable, legal tests - $287. All tests are 99% accurate and carried out an1 accredited AABB Lab, the most trusted DNA testing centers in the U.S.